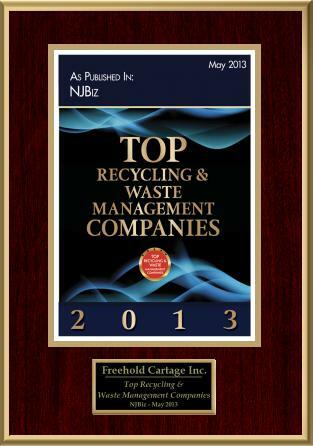 Residential Services | Freehold Cartage Inc.
Freehold Cartage, Inc. provides regular residential trash collection to our customers. If you reside in many of the towns and municipalities in Ocean and Monmouth counties you may be able to retain Freehold Cartage as your trash carrier. To find out if you live within our Residential Service areas, call our office at (732) 462-1001 and inquire. We supply the 1 (one) FREE Toter and you can choose between a once a week or twice a week pick-up schedule. IMPORTANT: With this program all of your trash MUST fit into the Toter we provide. Toters now come in two sizes—65 gallon and 96 gallon. 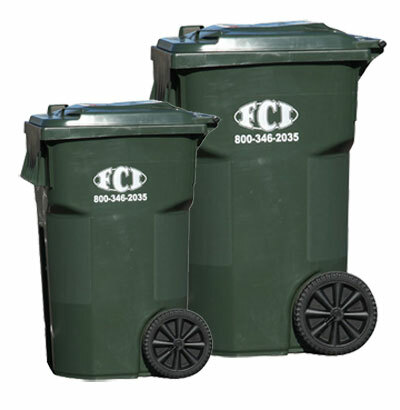 We are now offering single stream recycling so that all of your recyclables can now go in one container. There is no need to separate paper from glass and plastics. (This program is only available in certain towns. Call 732-462-1001 to inquire). From time to time you may need to discard items that are too large to be placed in a can or Toter such as furniture, cabinets, mattresses, etc. Please call our office at 732-462-1001 and we will be happy to discuss the proper handling and pricing of these items with you. Call us at 732-462-1001 to inquire about the best Service Plan for your family.